Welcome to Party Bounce House Rental, Your Online Destination For Bounce House Rentals in Sacramento! If You're Planning A Special Event in Sacramento, California, This Is THE Place To Be! Party Bounce House Rentals has the bounce house rentals you need to make your next party a huge success! From birthday parties, school or church festivals, bar mitzvah or bat mitzvahs, or any other special event for that matter, Party Bounce House Rentals has the party rentals in Sacramento that you're looking for! 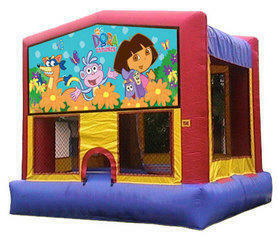 Our themed bounce houses will make your party the best on the block. 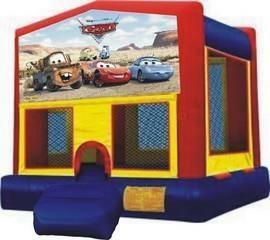 From Disney Cars bounce house rentals for your little speed demon to Dora bounce house rentals for your little explorer, we have them all! 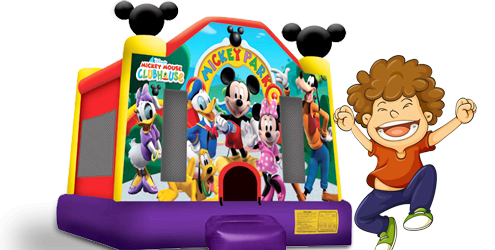 Choose from many popular Disney-themed bounce houses for rent. Summer is almost here. It's the perfect time for a water slide rental in Sacramento! Water slide rental near me. Our water slide rentals will provide your guests with hours of heat-beating fun! We also rent tables, chairs, tents. We have round tables, rectangular tables, regular folding chairs, resin chairs for weddings, engagements or any special event. We also rent back drops, linens, tables covers, party decorations and much more! 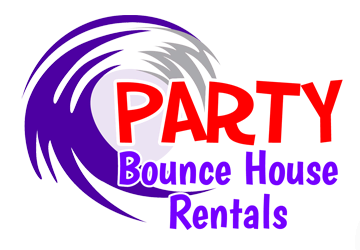 In addition to great bounce houses or moonwalk for rent and waterslide rentals, we also have great party rentals that are perfect for larger events. Such as round tables, rectangular tables, chairs and other party supplies. Dunk tank rental near me. Rent a dunk tank in Sacramento, CA. We also rent party tents for wedding or any social events. 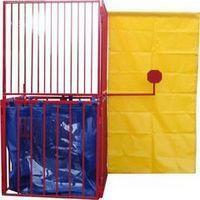 Party rentals in Sacramento - Party equipment for hire. If you're looking to draw a large crowd, you're sure to do so with our sumo suit rental or our dunk tank rental. Our goal is to provide you with the best customer service in the Sacramento area. Let us help make your special day a little less stressful and a little more special! So, now that you know that Party Bounce House Rentals is THE place to rent a bounce house in Sacramento, CA, what are you waiting for? Rent tables and chairs in Sacramento, CA. Tent rentals in Sacramento, CA. Head on over to our home page to see our entire selection of amazing inflatable party rentals. Bounce house rentals Sacramento, CA.